Our MBA core curriculum introduces you to all the disciplines and analytical tools of business. Nine different modules form the solid, cross-functional foundation for the five curricular specializations and experiential learning opportunities. Beyond the core MBA courses required of all students, you’ll start taking electives as early as your second term. A total of five electives the first year will launch your selected specialization and give you a head start on your summer internship. To earn a specialization notation on your transcript, you'll take required and recommended courses in your specialization beginning in the second term of your first year. 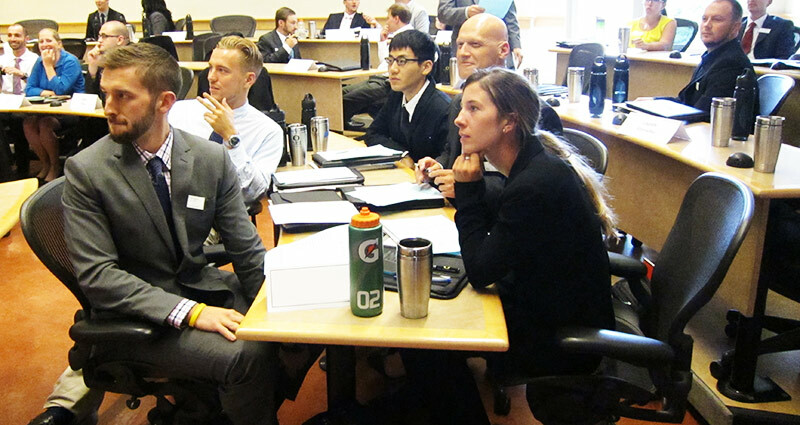 At the time of their application to the program, Oregon MBA students choose one of our curricular specializations—sustainable business, sports business, entrepreneurship, finance and securities analysis, or advanced strategy and leadership. To have a specialization noted on their transcripts, students must complete required and recommended courses specific to their specialization. 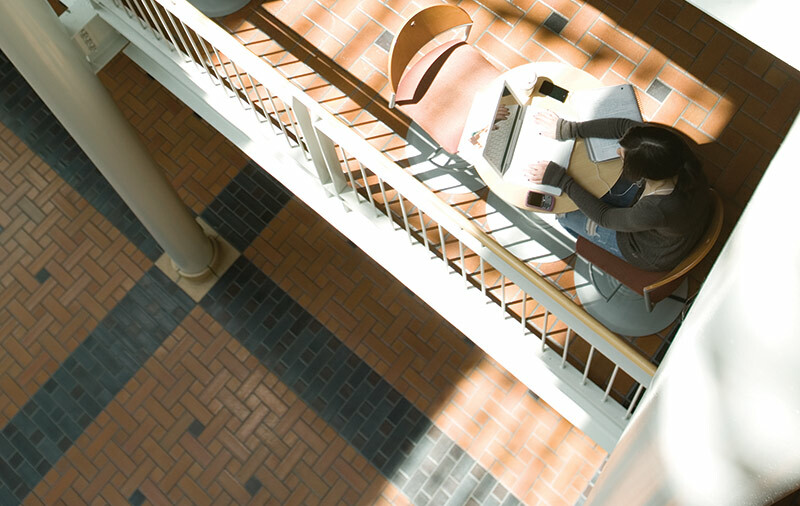 The core courses of the full-time Oregon MBA provide the foundation for subsequent coursework. Regardless of your chosen specialization, you and all your classmates will take the following core courses together. The final culminating course on business leadership and ethics sees you come together once more with your peers during your final term. Do you have interests complementary to business? Want to practice corporate law? Become a sports agent? Students before you have earned MBA degrees in conjunction with their JD or masters degrees in art history, Asian studies, environmental studies, and international studies, to name just some of the possibilities. You must be admitted to both the MBA program and the concurrent one. You can earn both of these degrees concurrently in four years of full-time study. Compared to the two stand-alone degrees, the concurrent JD/MBA degree saves one year. Specific requirements and time savings vary. The Oregon MBA curriculum commences with a mandatory orientation, scheduled each year in September during the two weeks prior to the first day of fall term courses. Orientation prepares MBA students for success through an intense and rigorous introduction to case analysis, leadership, and team dynamics. Presentation and communication skills are also emphasized. MBA Math is an online program designed to be an introduction to or refresher on the fundamentals of accounting, finance, microeconomics, and statistics. Working at their own pace over the summer, all new regular MBA students must complete this preparation before orientation. Costs are covered by the Oregon MBA. The mandatory Oregon MBA GO! (general orientation) and Get Centered! are scheduled each year in September during the two weeks prior to the first day of fall term classes. You will work with our leadership and communication instructors on professional skills assessment and development: case analysis, leadership and team dynamics, as well as presentation and other communication skills. In keeping with the Lundquist College's mission, experiential education will be a core value and competency emphasized throughout the Oregon MBA curriculum. Experiential learning is more than just learning by doing or applying theoretical lessons to practical situations. It's about reflecting and evaluating. It's about feedback and continuous improvement. What worked? What didn't? How might we do better next time? 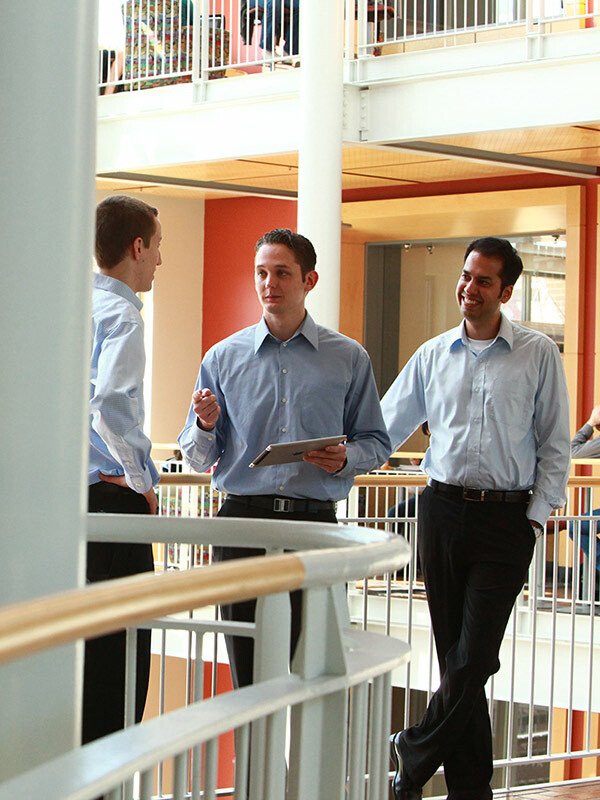 Much of the experiential learning in the Oregon MBA program is mediated by the business school's four centers. Among the experiential learning course work students complete is the Strategic Planning Project (SPP). Another principal experiential learning opportunity for entrepreneurially minded students is the Venture Launch Pathway, in which some students are given the opportunity to present at business plan competitions nationally and internationally. If you are pursuing in the innovation and entrepreneurship specialization and qualify for these competitions, you may elect the Venture Pathway in lieu of the Strategic Planning Project. In addition, finance and securities analysis students actively manage the Emerging Markets Fund portfolio instead of completing the Strategic Planning Project. Other experiential learning opportunities include our hallmark Engaging Asia study tour, as well as study tours to New York, San Francisco, Portland, Seattle, and more. 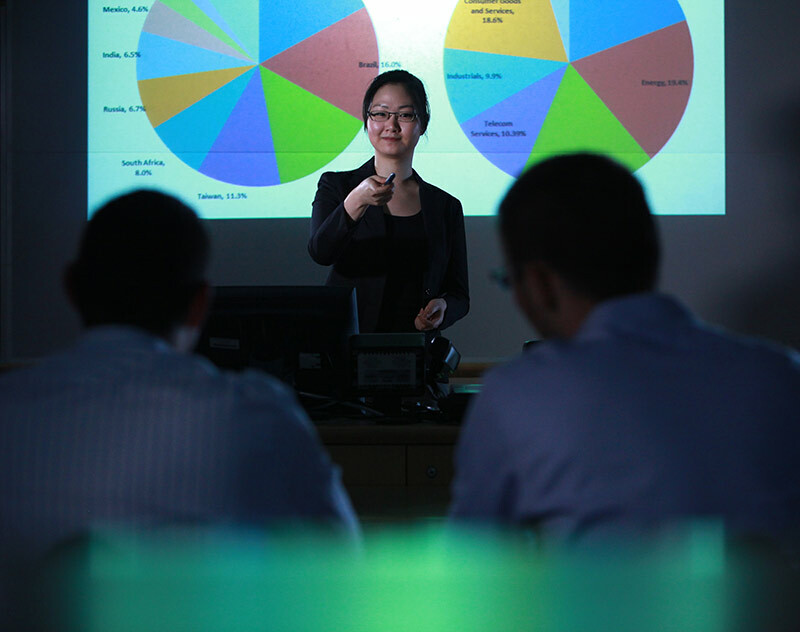 In addition to the courses offered by the Lundquist College of Business, MBA students may choose up to three courses from other UO colleges and departments. Naturally, these electives should advance your business career and make sense as part of an MBA degree. 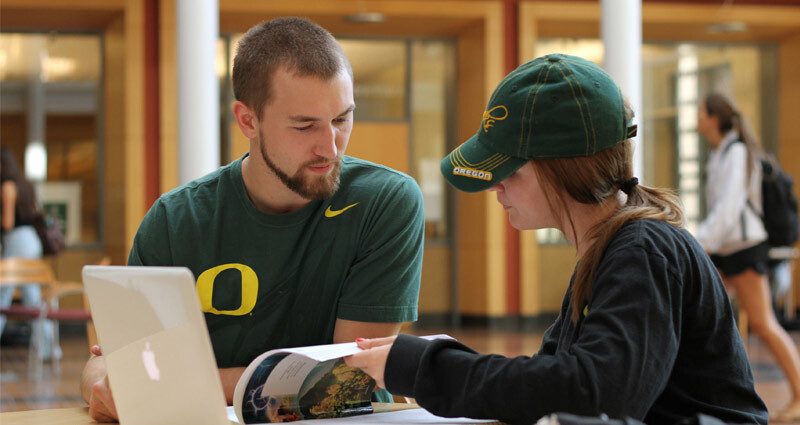 Oregon MBA students have taken courses in advertising, economics, education, environmental studies, geography, law, not-for-profit management, political science, psychology, and public administration. Leah Elstrott, now a partner success manager for Portland health startup Bright.md, shares her experiences from her time in the Oregon MBA program. Emily Darchuk, MBA ’18, is one of only 40 entrepreneurs selected and the first profiled in Inc. Magazine as part of the publication’s 40-year anniversary Founders Project. Former law student Justin Surber, MBA ‘18 wanted to change career paths because of his passion for eSports and found his home with the Warsaw Sports Marketing Center. Merryn Roberts-Huntley came to the UO with four years of sports business experience and was keen to take her career to the next level through the Warsaw Center’s impressive industry connections.